Class D amps have become increasingly popular in recent years. Probably due to the light weight and small footprint, and many of them sound great, too. But if you come straight from a heavy tube amp, you may miss ‘something’ in your tone. 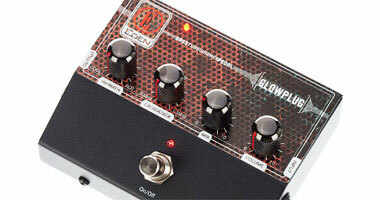 The transition may be less radical if you used to play through a solid state amp, but in either case, you may want to explore the new Glowplug Tube Warmer from Eden. 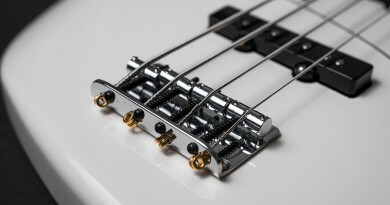 The Glowplug is built on the same hardware design as the I-90 Bass Chorus and CaliforniWAH. 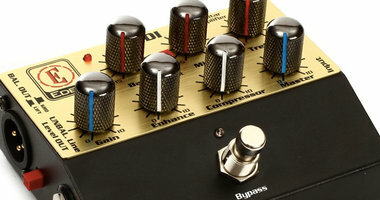 It comes with 4 knobs, two LEDs and a footswitch. The first knob from the left is named WARMTH, and it basically adjusts how much you drive the 12AX7 tube. The CROSSOVER knob allows you to find your own, focused sweetspot for the effect in the frequency range between 100 Hz and 1.3 kHz. 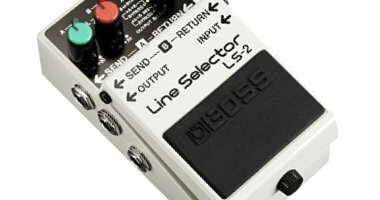 The MIX knob is essential as it allows you to blend the effect signal with your dry tone. I know that I always make a big deal out of blend options, but I just do feel it’s such an important thing to have when using effects on bass. The last knob is VOLUME and it simply works as a master volume control. Even though the Glowplug does enter the slightly overdriven territory when driven hard, I would not use it as a dedicated drive pedal. 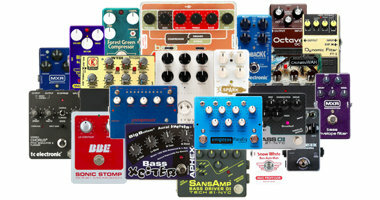 That said, however, I could easily imagine using it in combination with a drive pedal. So, the Glowplug may be a one trick pony, but it can so its trick with plenty of variation, and I really like most of the tonal range it has on offer. From extremely subtle to mega-tubish, depending on the context, I think this pedal generally adds something good to the tone. In conclusion, I would say that within the scope of what it was born to do, it is indeed very versatile. It is not just a tube-on/tube-off scenario. You can really sculpt your tube flavor a lot and blend it in as you see fit, which is always great. 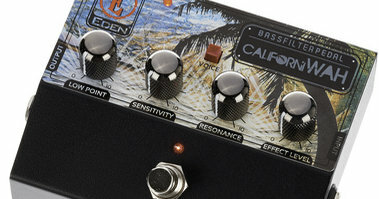 The quality is of the same high standard I have become accustomed to from using pedals like the CaliforniWAH and WTDI – solid through and through. Everything feels good and there is no added noise. The good side of the design is the easy access in terms of cabling – no risk of clutter as the input/output jacks and the power supply input are located on their own sides, so to speak. The downside is that the pedal needs a 15V power supply, which is not so common. 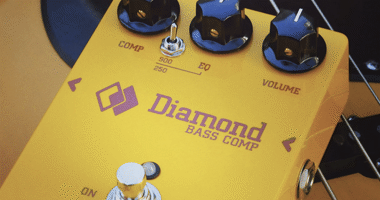 It does come with a dedicated power supply, which is a plus, but most bass players – myself included – use a multi power supply box to feed all pedals on the board. And they usually run 9V and sometimes 12V and 18V as well, but rarely 15V. Another design issue is the knobs. They feel great and turn smoothly – yet firmly – but they are hard to read. For the same reason, I decided not to add photos to the sound clips, but rather describe the settings. The red striped going down the knobs with only a very small square to bee seen from the top view is almost impossible to see on a dark stage. That said, this pedal probably falls under the set-and-forget category, so once you have found your favorite tube sound, you probably leave it on and don’t have the need for knob fiddling mid-song. Today (2016), a new Glowplug pedal will cost you $199. I’d say it represents good value for money, but it’s not a complete bargain. If you desire that certain tube-ish charm and want to make it part of your core, always-on tone, I guess value is actually very good.